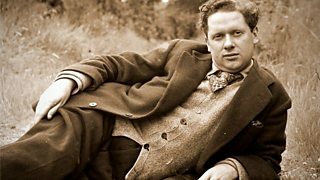 Programme details and online features leading up to Dylan Thomas Day on Monday 5 May. 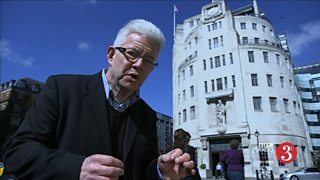 Poet Ian McMillan visits places in London where Dylan Thomas worked and played. The world premiere of an unfilmed screenplay by Dylan Thomas, newly adapted for radio. 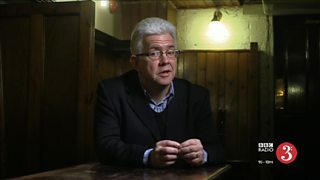 Ian McMillan tells the story of the doomed Stravinsky-Dylan Thomas opera project. 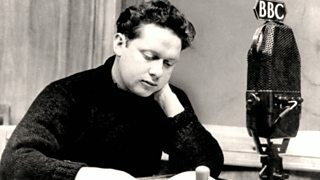 Poems and programmes from Radio 3's Dylan Thomas Centenary celebrations. 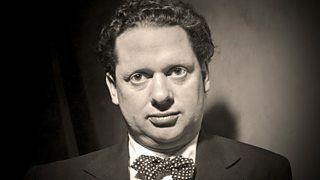 Discover the life, work and legacy of Welsh poet and broadcaster Dylan Thomas. 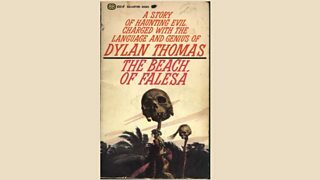 Producer Alison Hindell describes how a lost screenplay by Dylan Thomas was discovered. 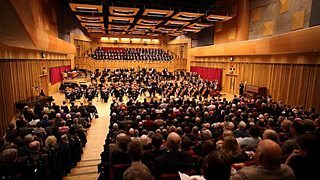 Tecwyn Evans conducts the premiere of Mervyn Burtch’s Four Portraits of Dylan Thomas. 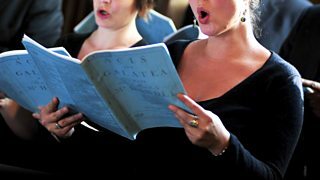 Sara Mohr-Pietsch with a special edition of The Choir from the Laugharne Live Festival. 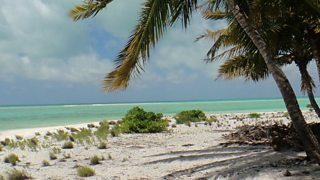 A special edition of Words and Music, with readers Catrin Stewart and Trystan Gravelle. 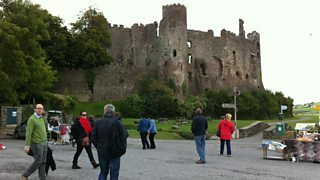 Writer Rachel Trezise tells the story of Dylan Thomas's broadcasting life. 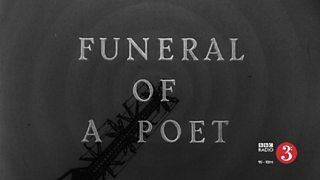 BBC archive newsreel footage of Dylan Thomas's funeral in Laugharne on 24 November 1953.